If you love great sunbathing, culinary adventures, ancient temples, amazing wildlife, and even volcanoes, Indonesia should be on your travel shortlist. It’s on my travel bucket list for 2018. In order to help us all with future adventures to Indonesia, I have asked peer travel writer and wanderluster, Danielle Fisher, to lend us her expertise on Indonesia. The floor is yours Danielle. Take it away! Indonesia probably won’t be found at the top of many traveler’s priority lists, but that doesn’t mean it shouldn’t be. The country is made up of 17,000 islands and each has a story to tell. When you’re after culture and adventure, Indonesia is a great choice. Although the country is best known for the attractions that Bali has to offer, there’s so much more to it than that. If you’re thinking about whether to travel to Indonesia or not, here are some benefits that may tip the scale. 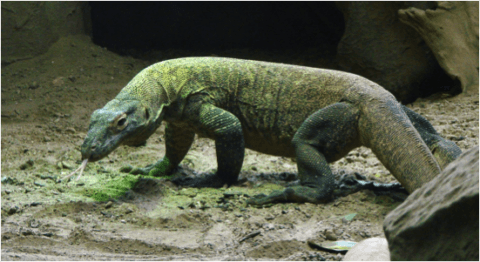 Known as the closest living ancestor to dinosaurs, the Komodo Dragon is certainly a sight to behold. Komodo National Park is spread across four different islands and if you want to see a Komodo Dragon living in its natural habitat, this is your chance. However, the Komodo Dragon is a dangerous animal, and has been known to kill humans and eat them. It isn’t safe to approach a Komodo Dragon without the supervision of a professional park ranger who has training in approaching the animals and staying at a safe distance. Visiting the park is the thrill of the lifetime, and seeing a Komodo Dragon up close in the flesh is something you’ll remember for a very long time. 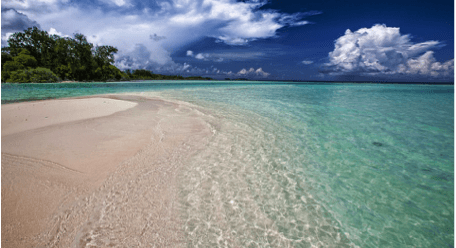 Some of the beaches that can be found in Indonesia are breathtaking. The sand is soft, warm and white and the water is a clear, bright blue. Just looking at it is temptation enough to take a swim and relax in the sun. But, that’s not all you can do on Indonesia’s beaches. The country is home to twenty percent of the world’s coral reef, which is why scuba diving in Indonesia is so popular. Imagine diving into the sea and witnessing some of the most spectacular sea life and colors you’ve ever seen. Indonesia was also a popular spot for pirating many years ago, so it’s safe to say that you’ll also be able to dive and view some of the shipwrecks left under water, weather permitting, of course. They are sights not to be missed. Even if you aren’t confident enough to dive, snorkeling on the surface will still get you a clear view. The people of Indonesia are well aware that a significant amount of their budget comes from tourism. That being said, they’re willing to go above and beyond to provide first class hospitality to travelers. Whether you’re staying at a hotel, staying with family and friends or you’re interested in buying a holiday home at https://rumahdijual.com/cibubur/rumah-murah you will always find people who want to please. It’s easy to arrange tour guides, easy to find your way around and the locals make an effort to help travelers trying to find their way. There are certain times when you’ll need to be cautious of pickpockets, but for the most part, staying in Indonesia as a traveler feels perfectly safe. 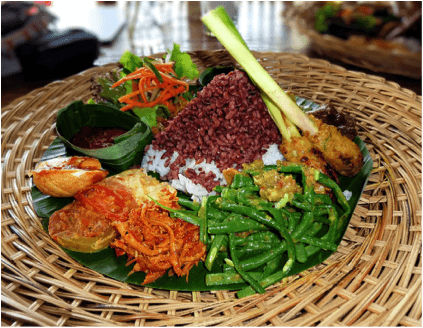 Indonesian cuisine will often look and taste very different to your own, but that doesn’t mean it isn’t safe to try. Meticulously prepared and flawlessly presented, Indonesian food is often delicious to taste. There are a variety of different foods to suit all tastes, so you’ll be bound to find something that you like. For the plain eater, Indonesia offers skewered meats, like lamb and chicken, along with fried rice, fried egg and a selection of vegetables. If you like your morning coffee, Indonesia is the place to go. As one of the biggest coffee producers in the world, you can take your pick of some of the best blends. Perhaps you’ve heard of Kopi Luwak? It’s made by feeding coffee beans to Civet Cats and using the excrement of the cats to create the coffee. It may sound disgusting, but it’s a rare and sought-after coffee all over the world. If you like a banana or two as part of your daily diet, Indonesia is the perfect holiday destination for you. As one of the top four suppliers of bananas in the world, the country has bananas in bucket loads. You’ll find them as part of your fruit salad in the morning, as part of your desert with drizzled chocolate sauce in the evening, and you can even stop while you’re out and about to pick up a fried banana – one of the local delicacies. The benefit of getting a banana straight from the source is that you’ll never taste one quite as fresh ever again. When you want to learn more about the history of Indonesia and see the architecture of its past, Borobudur in Java is an excellent choice. 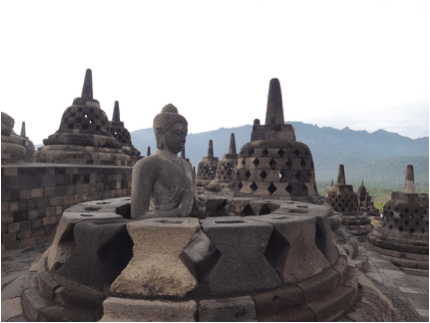 Borobudur is the largest Buddhist temple to ever be created in the world. This breathtaking temple is home to over 500 stone Buddhas and the atmosphere at the site is electric. The temple is often crowded during the day because the attraction is so popular, so if you want to miss the crowds, it’s often better to visit early in the morning before all the tour buses arrive. Take your time to walk around and admire the work that has gone into this wonderful achievement. Ever heard of the pacific rim of fire? Well, Indonesia is set right in the heart of it. That means that the islands are close to one of the most active volcanic areas. In Indonesia alone, there are 150 volcanos. 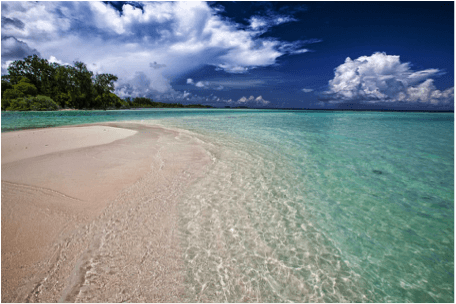 Why visit Indonesia without seeing one of these natural beauties? Of course, volcanos are highly dangerous so it’s advisable to get advice on which volcanoes are safest to visit during your trip. One of the best to visit is Mt Bromo, but be warned, it’s a steep climb to the top and will certainly zap your energy for the day. But, once you’re at the top, you’ll be hard pushed to find a better view anywhere in the world. After all, have you really been on holiday if you don’t return with a tan? The beaches in Indonesia aren’t just amazing sight to behold, they’re full of fun. Many of the hotels in Indonesia have private access to beaches where there are bars, music and free sun loungers. If you attend many of the public beaches, you’ll be able to go have surfing lessons, climb on a banana boat or even go parasailing. Indonesia has lots to see and do, but when you want a day to just relax, there are thousands of beautiful beaches to choose from. Indonesia occupies the majority of an island called Borneo. Within the island are rainforests and these rainforests are home to many wild orangutans. While it isn’t always advised that travelers enter the rainforests, the orangutans can be seen by boat. Take a day trip on the Sekonyer River and you’ll be able to visit the Orangutan Rehabilitation Reserve called Camp Leakey. You’ll find it in Tanjung Putting National Park and you’ll be able to spend time with the Orangutans and see how the reserve helps them to survive in the toughest of conditions. You haven’t lived until you’ve had a spa day in Indonesia. When you want to be truly pampered, an Indonesian spa is your only choice. Choose from treatments like massage, seaweed body wraps and even fish therapy, where tiny fish work to remove the dead skin from your feet. It’s a few hours of total relaxation and you’ll leave feeling completely rejuvenated. Indonesia is a country that will stay in your heart for the rest of your life.